Cooking In Cancun Is A Delight! 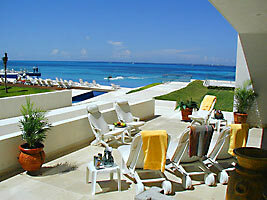 CASA MAYA PLAYA - Truly One of the Most Beautiful Condos situated on One of the Most Beautiful Oceans in all the World! come and enjoy my home. There will not be any added taxes, no security deposit, and no cleaning fee. Just the daily rate printed above. WELCOME TO MY CASA MAYA PLAYA. 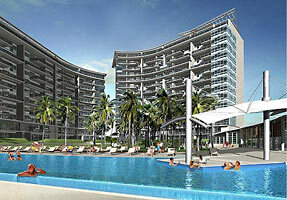 This is truly one of the most beautiful condos situated on one of the most beautiful oceans in all the world. overlooking the incredibly turquoise green and blue water of the Caribbean Sea, my home, Casa Maya Playa, has every amenity you can imagine to make your vacation here in Cancun one that will live in your memories for years to come. With its 3 large king-size bedrooms, and its 4 granite and stone bathrooms, my home is the ultimate in luxury beach front living, and is perfect for parties of up to 6 people with grace and ease. MY NEW HOME here is truly fantastic, and is located directly in the middle of the world famous hotel zone between the Hotel Riu and the Hotel Fiesta Americana. 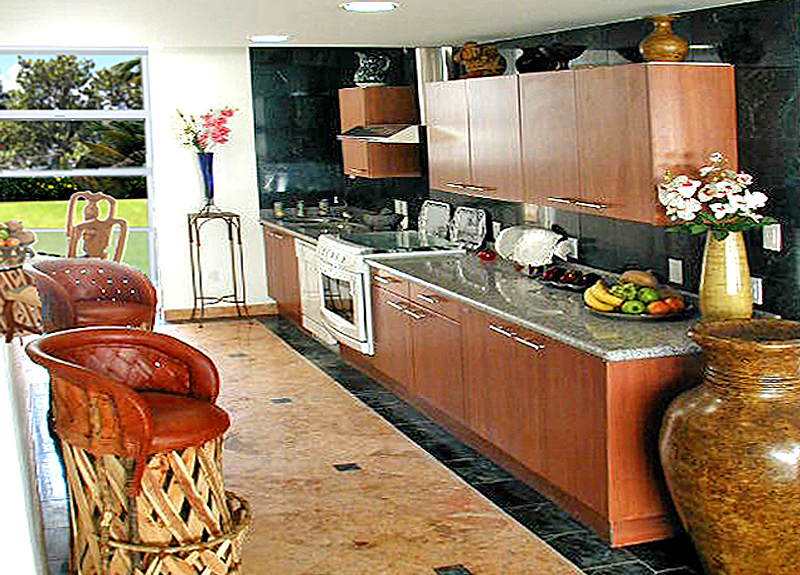 Its like owning your own private home directly on Waikiki Beach! The location is centralized so that you never have to rent a car as you can walk to almost every attraction Cancun has to offer. Taxis and busses are numerous for those day trips you will want to make to the nearby Mayan ruins of Tulum or other attractions like Splash, or the underwater caves at Xcaret. 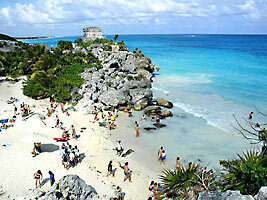 Of course, cars are available for rent either at the airport or at numerous locations throughout Cancun. LOCATED ON THE GROUND FLOOR, my home has a 45 square yard terrace and looks out onto the beach, ocean and adjoining gardens.. You can walk out onto the terrace and then walk a few more feet to the lap pool, and then a few more feet to the beautiful infinity swimming pool, and then down a few steps and you are standing directly on the whitest most beautiful sand in all the world. IT IS QUITE LARGE, about 2,400 square feet with the living room, dining room and master bedroom facing the sea, and goes completely through the building from front to back, so that the 2 back bedrooms open onto private terraces and gardens, also with views to the ocean. THE CUSTOM DESIGNED KITCHEN is also a delight, with hand hewn granite countertops, filtered water, handmade hardwood cabinetry, a 6 burner gas range, and a separate breakfast room table, and has all the amenities to make preparation of meals a delight. Dishwasher, large side by side refrigerator, microwave, blender, coffee maker are all there, and various spices are always on hand. FOR THOSE OF YOU who appreciate the finest in amenities, my condo has not only a wonderfully large infinity swimming pool right at the edge of the beach, but also has a 30 meter lap pool with a large waterfall with submerged chaise lounges directly in front of my terrace, so you can lay on the lounges in the pool and sip your favorite tropical drinks while feeling the spray from the waterfall directly behind you. 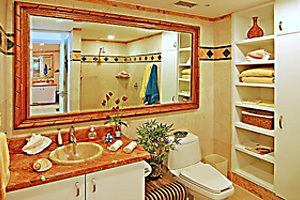 THERE IS ALSO a full service spa and fully equipped gymnasium at your disposal 24 hours a day. You can workout, and then treat yourself to a massage or facial without ever leaving the building! THE BUILDING IS COMPLETELY SECURE, with 24 hour guards and receptionists to receive all visitors. Parking is private and directly under the condo. I CAN TELL YOU that I am in love with my new place, and I know that you would love it also. The Caribbean Sea has the most beautiful water I have ever seen, and I also own a home on Sunset Beach on Oahu, so I know what I am talking about. ALL YOU HAVE TO DO is bring your smile and a swimsuit to have a great time! on a separate photo page for you to look at. cruise nightly directly in front of my terrace. sharks are trained not to bite the tourist's fingers! a banana leaf. Hmmn, nothing better! those of us who like blues and jazz. the canals through the middle of the shopping center. and a smile to have a great time! the little tots in your family. No Smoking Please. 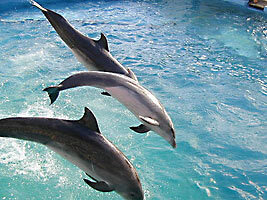 My friends and I just returned from Casa Maya Playa in Cancun. This condo is absolutely stunning. It is everything that the pictures show it to be! The condo is at ground level, and all we had to do was walk out our patio door to access the beautiful grounds, pools, and beach. The location of the condo is also great. There are plenty of bars and restaurants within walking distance. There is also alot of shopping (huge flea market where you can barter and a big mall). The condo is on the busline, and there is a taxi stand at the Riu Cancun Hotel right next door. The staff at the condo was wonderful to us. 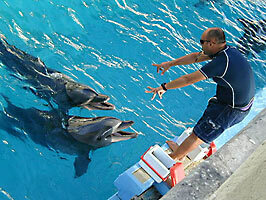 They tried very hard to communicate with us despite our language barrier. You will also love Matt, the property manager of the condo. He was there to greet us upon our arrival, and checked on us throughout our stay. Besides being a lot of fun, Matt was invaluable to us as far as where to eat, how much to spend for bus/taxi rides, and what companies to use for our activities. In addition, the condo owner, Michel, called us from California on the day of our arrival to make sure everything was going smoothly. He also gave us a list of restaurants!! 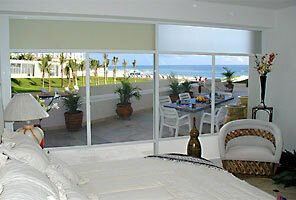 If you are going to Cancun, you MUST stay at Casa Maya Playa!! Recommended for: Age 55+, girls getaway, tourists without a car, sightseeing, people with disabilities, romantic getaway. GREAT time!!!!! Beautiful condo. Matt (property manager) is a JEWEL!!! Was a HUGE help. Recommended for: Age 55+, adventure seekers, girls getaway, tourists without a car, people with disabilities. Recommended for: Age 55+, tourists without a car, families with teenagers, families with young children. Our stay at Casa Maya Playa was outstanding. The condo was beautiful. We would stay there again. The property manager, Matt, was there to greet us, directed us to our parking spot, helped us get our luggage to the condo and spent time with us to give us the details about the condo. You couldn't have asked for better assistance. We particularly enjoyed the convenient access to both pools. The grounds were lovely and the security staff friendly and helpful.Our stay was extremely enjoyable. We cooked some of our meals and ate at conveniently located restaurants. The kitchen was equipped nicely. My only negative, and this was minor, was that the mattresses were firmer than we were used to. The owner, Michel, has put a lot of thought and care into making his guests welcome. 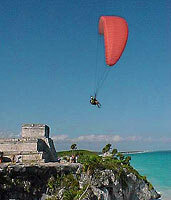 Recommended for: Age 55+, girls getaway, tourists without a car, families with teenagers, families with young children. This was our first time in Cancun. 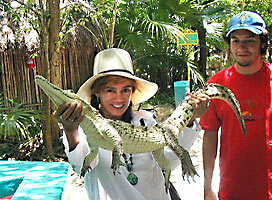 This trip was in celebration of my mom's 80th birthday and also had my 5 year old son with us. We had a wide range of ages and everyone had a spectacular time. The condo was perfect in that it was conveniently located to restaurants and Starbucks! Having the condo on the ground floor was perfect in that we were able to go in and out to the pool. The early morning sunrises and sunsets on the deck overlooking the ocean was unforgetable. I would highly recommend this condo and location to anyone. Truly a dream come true vacation. Recommended for: Age 55+, girls getaway, tourists without a car, sightseeing, families with teenagers, families with young children, people with disabilities. Recommended for: Age 55+, adventure seekers, tourists without a car, sightseeing, families with teenagers, families with young children, romantic getaway. This was our first trip to Mexico and boy did we choose the RIGHT place to stay!! My husband and two boys (ages 13 and 7) loved the condo, the pools and the beach. The condo was perfect and way more space than a family of four needs...but we all enjoyed the amenities in the condo. We enjoyed cooking in the kitchen and eating on the beautiful patio all while watching the sunset and the pirate ship passing by on the sea! The resort was safe and quiet and the kids enjoyed the playground area and trampoline. The shopping (and Starbucks) across the street from the condo were all convenient. We enjoyed meeting Matt, the property manager, and he was helpful throughout the trip! I'd recommend the Cancun Shuttle for transportation from and to the airport - they were professional, timely and reasonably priced. We also enjoyed the restaraunt called Mocamba's (spelling?) right next door..or a brief walk on the beach will get you there too. We LOVED our time in Mexico and plan on making this a routine vacation stop!! Recommended for: Age 55+, adventure seekers, girls getaway, tourists without a car, sightseeing, families with teenagers, families with young children, romantic getaway. LOVELY BEACH + WONDERFUL CONDO = GREAT VACATION! We visited in early June and it could not have been better. The condo is beautiful, spacious, and the views are magnificent, better than the photos on the web. We had massages, laid by the pool, walked the beach, swam in the ocean, and ate dinner on a pirate ship! Also many thanks to the staff who treated us so very well. We'll be back next year. Recommended for: Age 55+, girls getaway, tourists without a car, sightseeing, families with teenagers, families with young children. 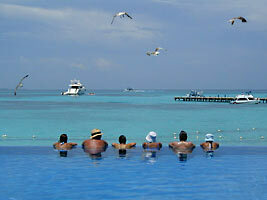 My wife and I and two of our friends stayed in Casa Maya Playa May 18th - May 25th. We had a great time. The condo is exactly as described. Very luxurious. We enjoyed the (very large) patio, great for coffee in the morning. Matt, the property manager was waiting for us when we arrived. He showed us everything we needed to know and was always available to handle any problems (not that we had any!!). What a hard worker he is. 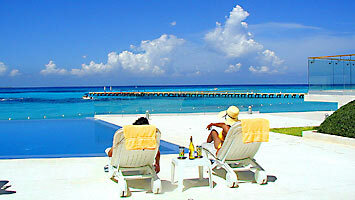 The infinity pool is beautiful and a great spot to work on your tan. There is also a lap pool as well as several hot tubs and a gym which my wife took advantage of. There are many excellent restaurants within easy walking distance. We loved being able to make breakfast each morning and have cocktails and appys each evening before venturing out for a great dinner (which explains the 5 pounds I now have to get off!!) Michel has a really wonderful condo and we highly recommend it. Recommended for: Age 55+, girls getaway, tourists without a car, families with young children, romantic getaway. 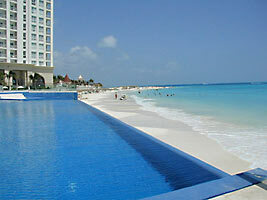 We had a great time in Cancun and really enjoyed staying at Casa Maya Playa. 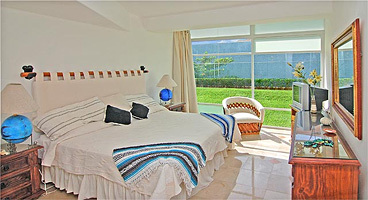 Casa Maya Playa is a secure, modern, well appointed condo - perfect for a relaxing vacation! The pool area and beach are great. We will definitely request this unit next time we are in Cancun! This was the best of them all. 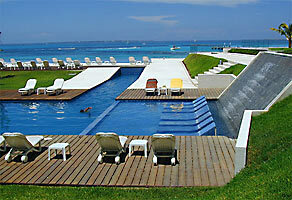 We have been to Cancun several times but Casa Maya is absolutely the best of the best. The ground floor terrace is bigger than most other condos living rooms, and we ate outside at the granite dining table almost every day. We could watch our children go in and out without a worry. It is absolutely beautiful and cared for expertly by Matt the property manager (who was just excellent). We can recommend this condo to everybody. Thank you so much. Recommended for: Tourists without a car, families with young children, romantic getaway. 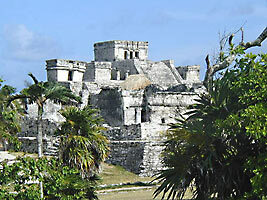 We just got back from a wonderful stay at Casa Maya. Right from the beginning I found Michel to be very informative and helpful. The booking process was very simple and stress free. He gave me a lot of really valuable information that would end up helping us a lot on vacation. We chose Cancun Shuttle for our transfers (as he suggested) and not only were they very reasonably priced, but very clean and prompt as well. Now on to the condo and Punta Cancun. Let's just say we will never do all inclusive again! From the minute we pulled up to our condo and met the 24 hour security to the very second we left we truly loved every minute. The condo is exactly as promised and is far more space than we could ever use (it's actually alot bigger than our house at home!. The four bathrooms were awesome as well as the full kitchen and the washer and dryer. We wondered why anyone would ever want to stuff themselves into a hotel room when they could have this. The condo is on the ground floor and that proved to be the ultimate in convenience as we could leave the door open and our kids could run in to get a snack or drink without us having to take them. Truly Awesome. !We had a huge patio that we sat on as much as we could and enjoy happy hour looking out at the sea. Magnificent views! As the condos are all privately owned and many proved to be unoccupied during our stay we felt like we were staying in our own private resort! There are many common deck and patio areas that usually no one was even on just steps from the beautiful infinity pool and the ocean. We walked around all week not quite believing our wonderful good fortune for having found this place. The location is the best in Cancun. We were on the calmer side, so we were still able to swim in the ocean and enjoy the beach. It was very windy during our stay and anyone staying on the Caribbean side really would not have been able to use the beach. Not so for us! There is also a nice and clean gym and spa for guests to use as well. We were literally steps from shopping and restaurants and had no need of a car, although we did take the bus several times downtown and to Walmart. You must stay here. You will never regret it. I only hope that we will have the opportunity to stay here again some day.